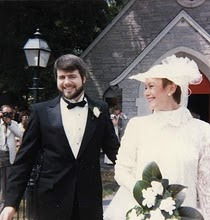 Donald and I celebrate twenty-seven years of marriage today. I remember sharing Robert Browning's words from his poem Rabbi Ben Ezra - "grow old along with me, the best is yet to be . . . "
Did we have any idea those words were so, so true? Of course not. We were happy, we were in love. Thoughts of our future were seen through rose colored glasses. We stood in that small chapel in Smyrna, Georgia and professed our trust in our future together. In front of God. In front of family and friends. It was a perfect day. But, of course, like any marriage, we have gone through some tough times. And we have gone through some of the loveliest of times. And we have learned so much about one another. I had no idea the love I felt for this man could grow so much deeper. We'll have more tough times ahead of us - and we'll have more of the lovely times, but we now know, without the slightest bit of doubt, we'll have them together - till death do us part. And that makes the tough times less tough, and the lovely times lovelier. We laugh, we cry, and we do it together . . . .
And we know that growing old together is the best thing we'll ever do. My friend Michael has a terrific blog - "It Rains . . . You Get Wet." He pointed this one out to me today thinking it might be appropriate for us - and I love it. Thank you, Michael. He even included the lyrics - - - which I'd like, in turn, to share with each of you. I'm honored to be included in this joyous occasion, Kaye. A simply wonderful post of something truly touching and special. 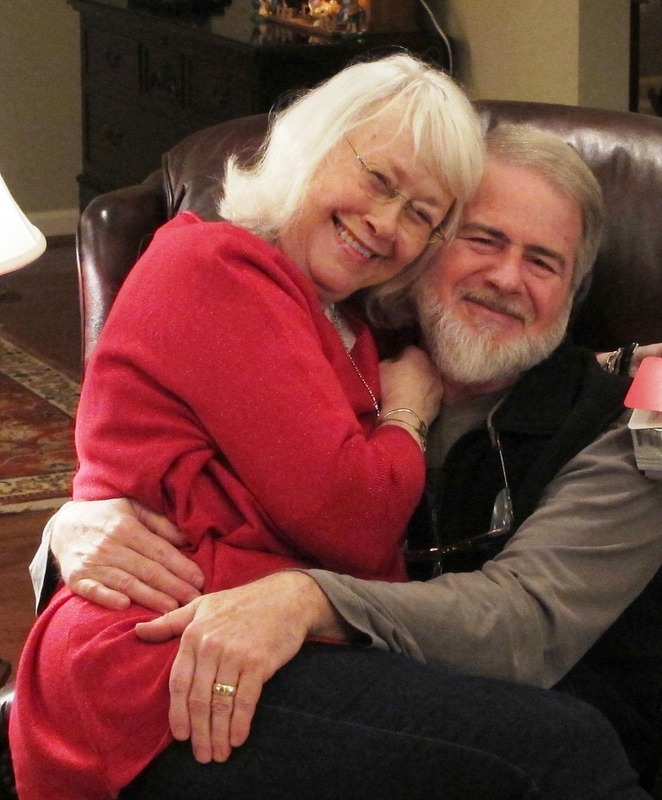 Twenty-seven Lovely Years, indeed. the love you have for one another shines out in both photos. Congratulations, you two crazy kids!